This past week was a particularly challenging one for me. I turned into old, undergrad Sarah -- chugging coffee and staying up until the wee hours of the A.M. to get things done. When all the work was finished and framed, I hung not one, but two shows of my own work here in Knoxville. 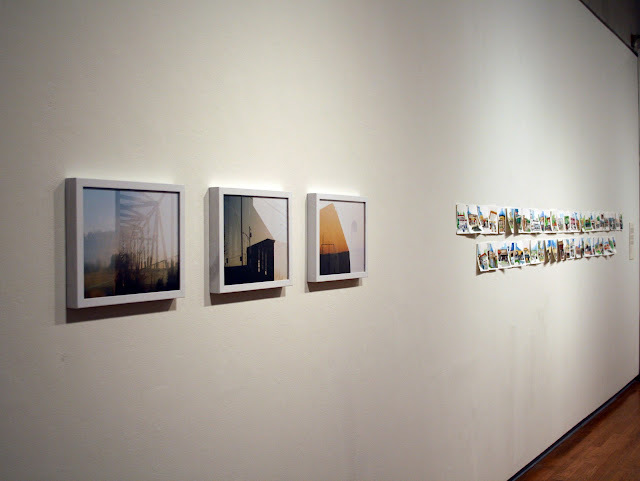 The first show opened Friday afternoon at the Ewing Gallery in the Art and Architecture building on UT's campus. 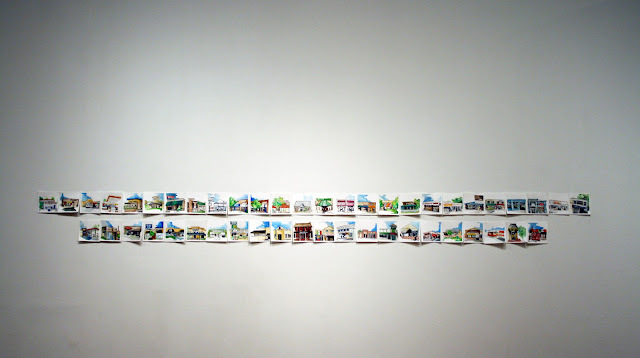 This exhibition featured a project I alluded to in an earlier post titled Every Building on the Strip. On Saturday morning I woke up early. Early enough to forget to put the filter in my coffee pot. I put some final, finishing touches on my frames and loaded my car for round two. 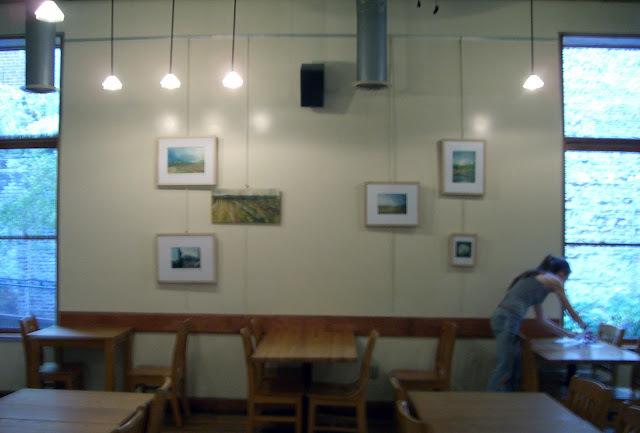 I had just two hours to hang my work at Tomato Head, a vegetarian friendly restaurant here in town, before they opened for Saturday brunch. With a little help, I got everything done by 9:30. 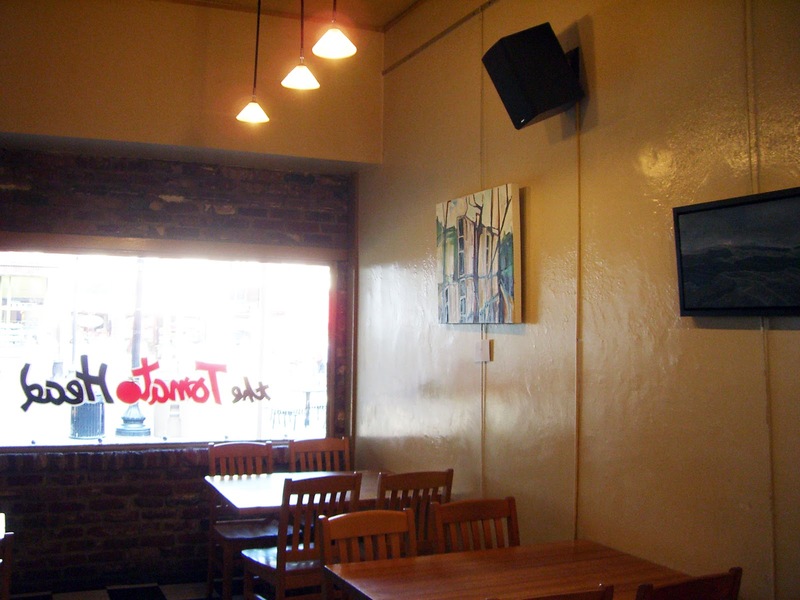 Just in time to take a spin through the farmers' market and grab some breakfast at Pete's. Both shows will be up through the end of the month. Stop back later for some more about my project, Every Building on the Strip.